Budha Brihaspathi Vratha is observed on Wednesdays and Thursdays during the Hindu month of Shravana, August-September in the Gregorian Calendar. 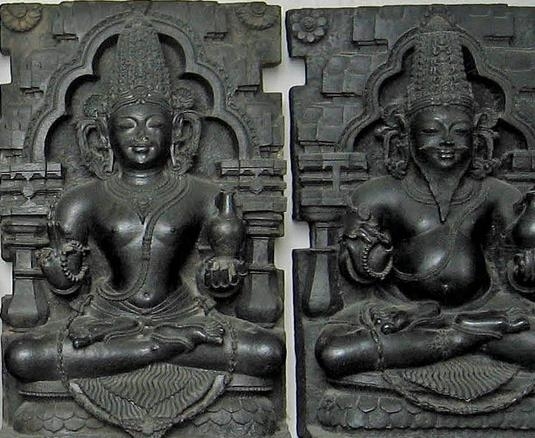 Once Budha and Brihaspathi (Budha is planet Mercury and Brihaspathi also known as Guru is planet Jupiter) visited a poor Brahmin couple dressed as hungry Brahmins. The Brahmin couple welcomed them and offered them whatever was prepared in their house on that day. 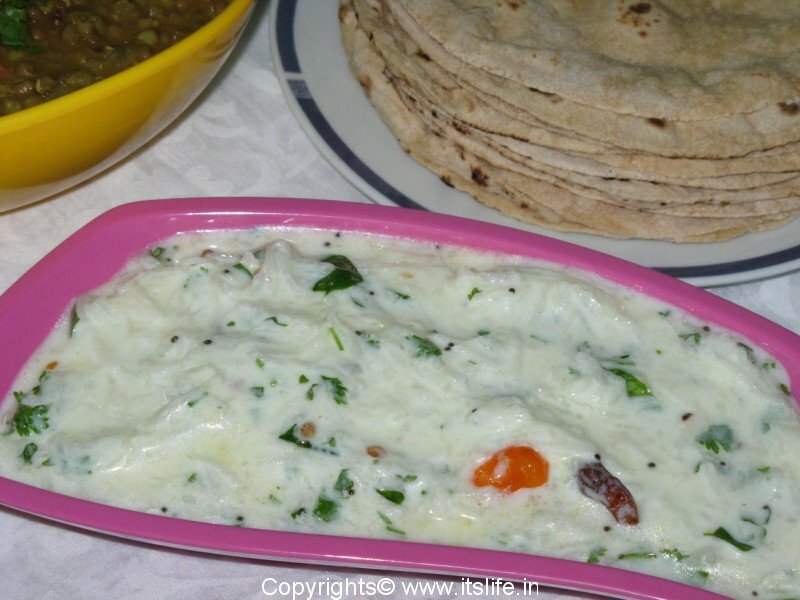 They offered them Jower Bhakri (bread), Moolangi Bhajji (Radish raitha), Chutney pudi, and Buttermilk. The hungry Brahmins ate their fill and were happy. 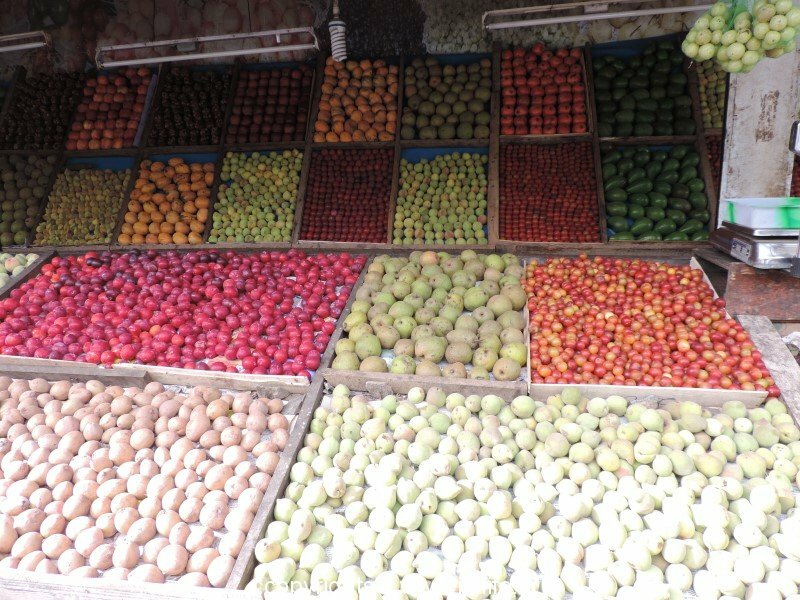 Immediately after this the Brahmin couple were relieved of their poverty and were very happy. They waited for the hungry Brahmins to visit them again but they did not turn up. 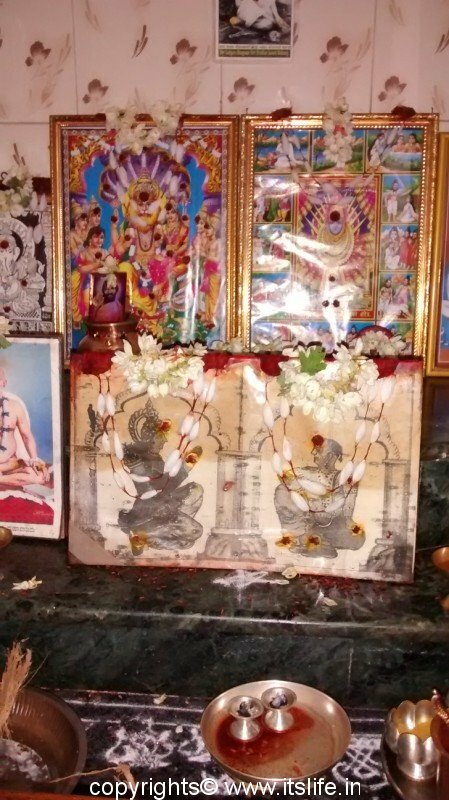 Hence, they drew the Brahmins pictures on the wall and performed Pooja every Wednesday and Thursday during the month of Shravana. People follow this vratha in the hope to live happily ever after. 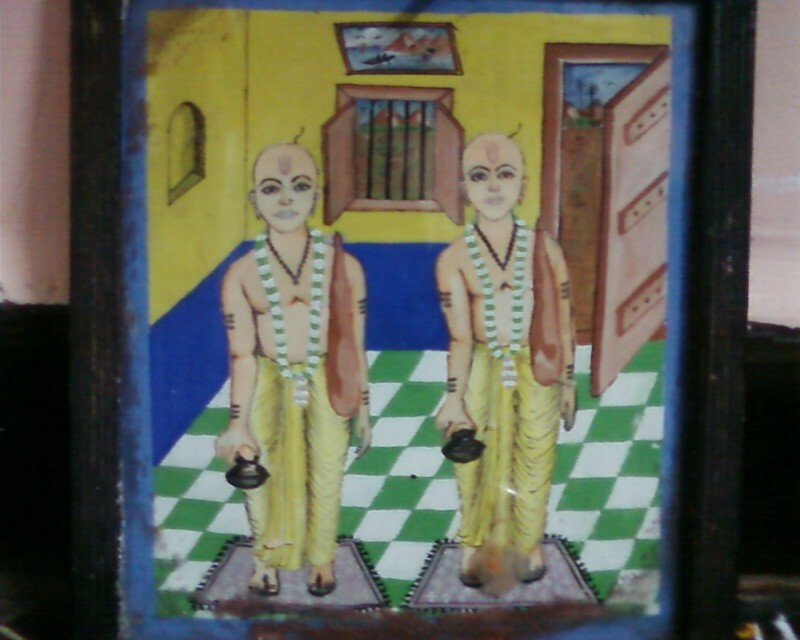 I have a picture of Bhuda Bhrishaspati can i send it will you upload here. 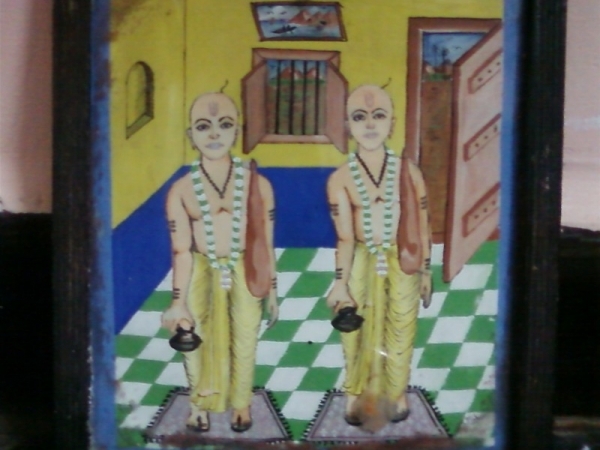 Picture is two bhramin are standing. Let me know i can email the picture. I will upload it and give credits to you. 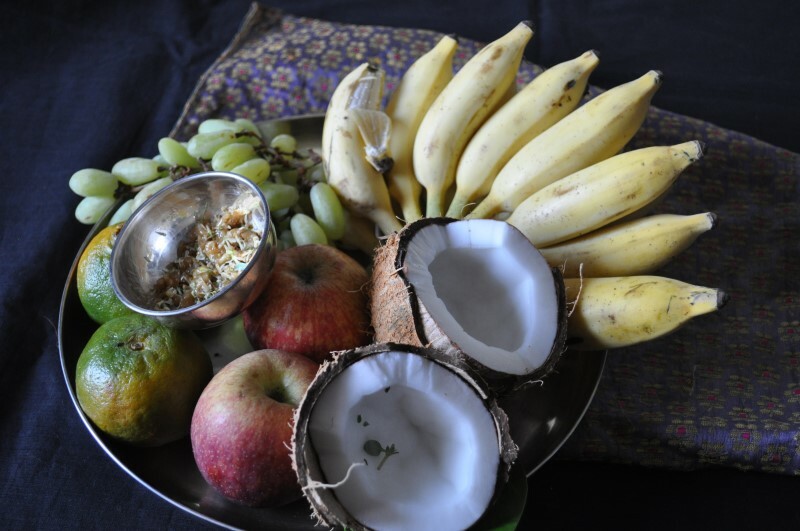 My parents used to perform this pooja. 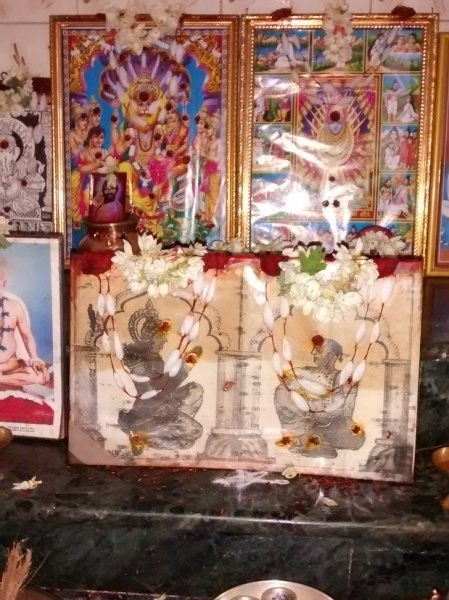 Does anyone has the complete vartha katha and pooja details.